In early 2014, Luxembourg’s media, local unionists and even some of Cargolux’s staff had been outbidding each other in their aversion to Chinese investor HNCA taking over 35 percent in Cargolux Airlines (CV). Meanwhile, most of the former skeptics and naysayers are recognizing that the Cargolux-Henan pact was a wise move, resulting in plenty of business activities to mutual benefit. What both parties achieved meanwhile was presented last week at the Shanghai-held trade show Air Cargo China, followed by a press trip to Zhengzhou where participants got a wealth of first-hand information on the CV-HNCA joint venture. When speaking with Cargolux exects Kevin Shek and his colleague Janet Jiang one can sense the pride of both managers. What the carrier and its entire staff have achieved in China since signing the pact with the Zhengzhou-headquartered investment group Henan Civil Aviation Development and Investment Company (HNCA) in January of 2014 is indeed impressive and of paramount importance for Cargolux’s further growth. “We have doubled our China volume and increased our market share over ten percent during the last two years,” lauds Kevin, CV’s Head of Asia and Pacific in an exclusive with CargoForwarder Global. This upswing is mainly based on two factors: the rapid increase of flights and frequencies to/from China and the carrier’s dual hub strategy, with Zhengzhou (code: CGO) developing into a main gateway for Cargolux gradually. “We started at CGO with two flights a week back in 2014, but stand at 13 now,” Kevin tells. 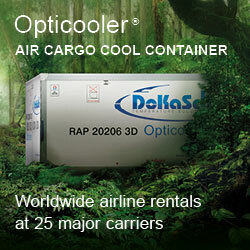 This led to a fast increase in tonnage, surpassing 100,000 tons from the very first flight until the end of last year. Since more services will be added, particularly after the offspring Cargolux China takes to the air in late 2017, annual volumes will fast grow, surpassing 200,000 tons in 2020, CV estimates. The good news is that Cargolux enjoys an average load factor of 90 percent both ways on the EU-Zhengzhou sector, with U.S. flights reaching amazing 95 percent. However, the bad news is that the yields have gone south due to overcapacity in the market and aggressive cut-throat price competition. “We hope to boost both turnover and profits during the upcoming peak season at the last quarter,” Kevin states. The loads on the intercontinental routes are still not balanced. 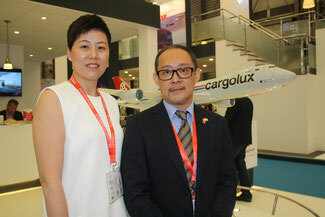 But they are getting there slowly, says Janet Jiang, Cargolux’s Regional Manager China. “Our society is getting richer which results in increased buying power.” So a growing number of local consumers can afford purchasing trademarked goods coming from European or U.S. producers, which ups the load factor of Cargolux’s incoming flights. “The export/import ratio of our loads stands currently at 2:1,” Janet says, which is a very satisfying situation, she adds, reminding that some years ago it was a revenue distorting ratio of only 4:1. CEO Dirk Reich of Cargolux confirmed at a press briefing in Shanghai, that all signs indicate that his carrier’s future offspring Cargolux China will be airborne before the end of 2017. Cargolux will hold a 35 percent stake in the newcomer, costing them US$ 77 million, with the HNCA Group (49%), Zhengzhou Airport Company (8%) and local industrial developer Xing Gang Investment Company (8%) possessing the remaining shares. The carrier will take to the air with thee Boeing 747-400Fs, which will be either leased or purchased. It will serve transpacific routes and offer flights on intra-Asian routes, including round trips Zhengzhou-Melbourne. Manager Reich pointed out that two more freighters will be added to the fleet until 2020 latest. Once accomplished, destinations in Africa and Latin America will be served by Cargolux China. 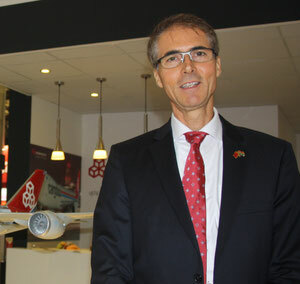 Widespread doubts echoed by Cargolux skeptics that the Chinese offspring will fly head to head to Cargolux on European routes, thus competing directly with its parent company, were dispelled by Eric Erbacher, Cargolux China’s future Head of Sales. “We will set up complementary networks without cannibalizing our businesses.” Manager Erbacher stresses that Cargolux is exclusive GSA for Cargolux China, thus running the newcomer’s entire sales business. Might Cargolux China face the fate of former carrier Jade? 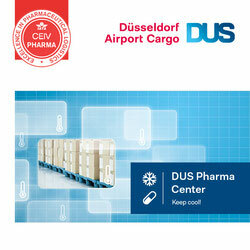 The Cargolux China project is based on different pillars, Wieger emphasizes. “We are the only stakeholder bringing in a wealth of operational and strategic expertise how to run an airline successfully.” Another important aspect calming him down is the fact that no JV partner can sell his or her stakes to another airline during the next 30 years. “This guarantees all participants a high planning reliability,” Ketellapper nods. 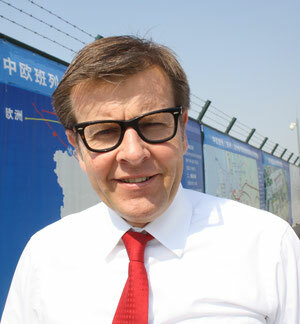 Wieger Ketellapper, a Boeing 747-400F / -8F pilot himself, is responsible for setting Cargolux China on track. From day one, it will need as many as 75 pilots to operate the three Boeing freighters Cargolux China intends to obtain. However, cockpit personnel is a very rare species in mainland China, extremely hard to obtain. “When recruiting pilots in Europe or elsewhere, it should be of help that Cargolux China is managed by managers from the west,” Wieger says. He has little hope to get local Chinese pilots on board. “Local airlines got a tremendous demand themselves due to the fast growing aviation sector.” In case he decides to recruit local pilots, Cargolux China would have to pay high transfer fees that could amount to as much as US$920,000 for a 747 Captain. Just how far this scheme has gone is shown by the fact that even for contracting a Boeing 737 Captain flying for a local Chinese airline, a redemption sum of US$350,000 has to be payed to his former employer. That’s a main reason why Ketellapper is targeting a combined solution: recruiting foreign pilots, predominantly skilled Europeans and train applicants at flight academies in Australia or the USA. Wieger hints that a Captain would earn between €14,400 and 15,900 euros per month, with a First Officer getting between €7,000 and €8,000. In case of Europeans or applicants from North America, it can be assumed that they don’t want to give up their individual lifestyle. To make their coming to Zhengzhou palatable to some extent, Cargolux China will offer their future cockpit staff different employment schemes. First model consists of 18 days of work followed by 17 days off. Model number two requires 14 days on duty and 12 days off. Optionally an applicant can apply for additional 10 days of freely selectable time-out period. In the latter case, states manager Ketellapper, they get payed a little less compared to scheme one. Free flights between Zhengzhou and their domiciles might be included in the packages, Wieger indicates. However, the last words on this matter have not yet been spoken.